Finally, the wait is over. 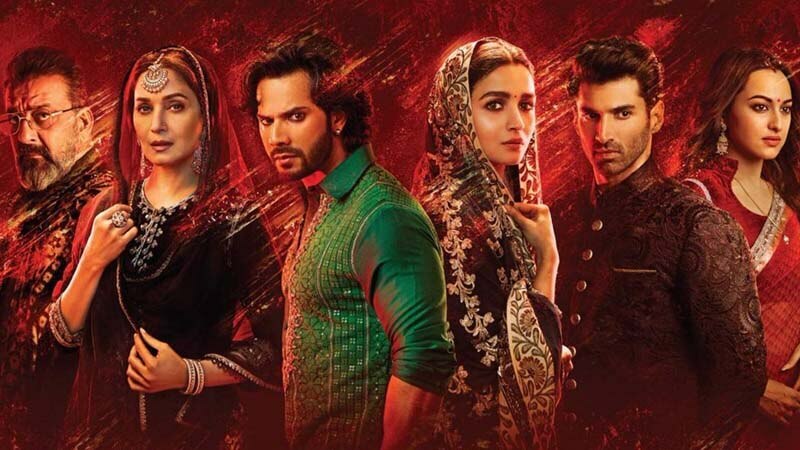 Everyone was waiting for the Varun Dhawan and Alia Bhatt starrer, Kalank. 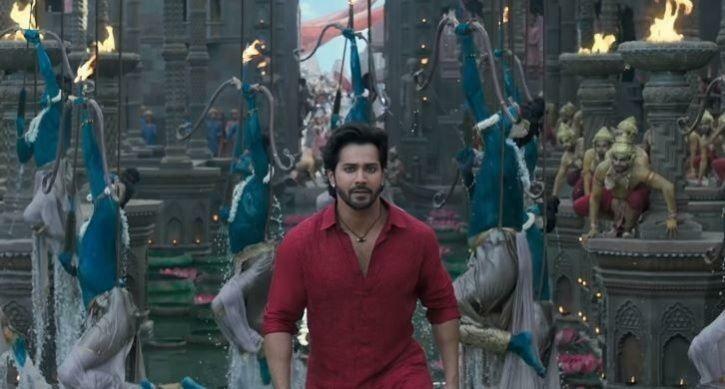 Varun Dhawan is grabbing his way to the top of Bollywood by delivering hits after hits and his fans have similar expectations with this one also. Apart from that, Alia Bhatt has proved how great actor she is when it is about serious roles. The reunion of Sanjay Dutt and Madhuri Dixit has most of the fans excited about this film. 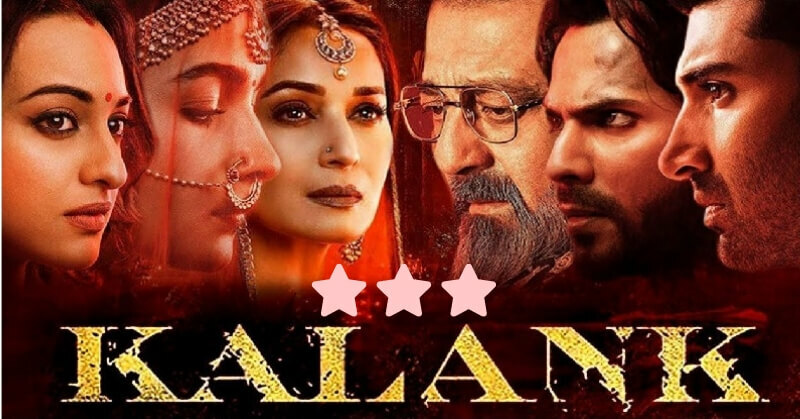 However, Kalank does not live up to the expectations. 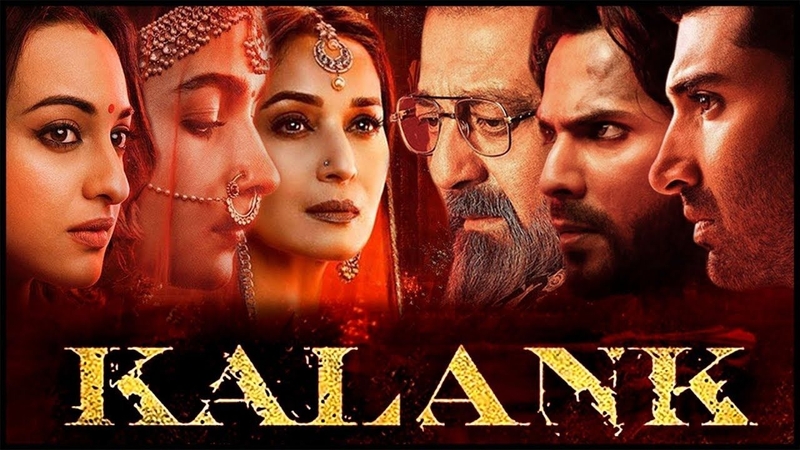 Kalank does not bring any new approach with the storyline. It seems quite predictable as we have seen a similar storyline in several other movies. 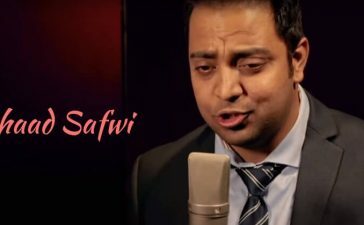 This can be considered the thing that let down the fans. 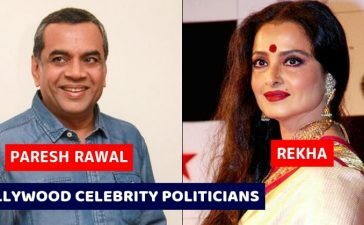 Roop (Alia Bhatt) was forced to marry Dev Chaudhary (Aditya Roy Kapoor) who committed bigamy as his wife, Satya Chaudhary (Sonakshi Sinha) could not give birth to a baby. 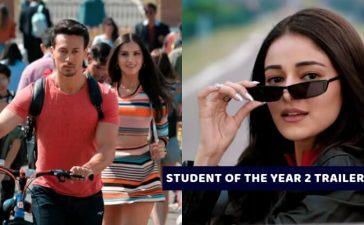 Roop had a lover named Jafar (Varun Dhawan) who now returns to her life and their love is now something which is called an extra-marital affair. The plot of the movie is set in 1945 back when the communal subjects were too sensitive. The cinematography is the best thing about the film and it will make you feel like you have entered that era. All those streets look real. The periodic drama has an exceptionally good screenplay for sure. Madhuri Dixit looked perfect in the role of Bahaar Begum. Her dialogues reflect her deep emotions. Sanjay Dutt played the role of Balraj Chaudhary and his expressions reflect slight proud. Varun Dhawan is good as always. However, it is Aditya Roy Kapoor that came out a surprise package. He did the role with such excellence that we all became the supporter of the things that he was doing in the film. 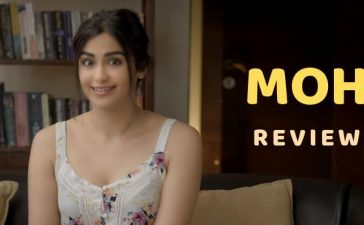 The film has a weak storyline but the performance of the cast is superb which adds to the allure of the film. We all know how much hype was built up for the film but it does not live up to that expectations. We would like to give it 3/5 stars. If you love periodic dramas then you should go for this one. However, if you love unique storylines, you would be disappointed for sure.